The name "Afrinatural” is descriptive of our business - offering natural, botanical ingredients and value-added products from all over Africa to the rest of the world. Our major Focus Areas are in content to the Cosmetic & Phytomedicine Industries. Currently our target market consists of wholesalers & retailers in the Phytomedicine, Pharmaceutical, Nutraceutical, Cosmeceutical, Cosmetic, Personal Care & Health Foods industries. Effective marketing networks and strategic alliances in all international markets. Very strong and effective relationships with key manufacturers of pressed & essential oils, tinctures & extracts and capsules & tablets. Well networked with world scientists in the academic, research, analytical laboratories as well as with relevant government leaders on national and regional level. Are constantly instrumental in mobilising industry leaders into various associations and task teams. In summary – We effectively cover the whole supply chain from the grower, harvester, manufacturer and supplier to the consumer. 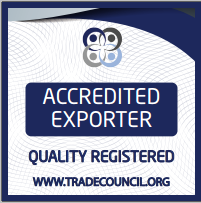 As far as possible all products are backed by our verification and quality standards and where applicable and required, products are harvested, produced and sold with applicable documentation. "Afrinatural brings you the rich knowledge and wisdom of African Botanicals, Extracts & Oils." Please contact us should you require more detailed information.